A popular prequel era EU character’s surname linked to untitled Han Solo Star Wars film! Please do not share the details of this article openly on social media and spoil the untitled Han Solo story for those that want to remain spoiler free. These are very general potential spoilers but let’s respect other fan’s wishes and not spoil those that do not appreciate spoilers. Be cool! For one second I thought about the name and it sounds cool. But the last name has been used for none other than fan favorite Quinlan Vos. That’s as strong of a connection to Quinlan Vos we have here. The identical last names could be a coincidence. What follows is speculation that Dryden Vos could be Quinlan Vos. It could be a situation similar to Obi-Wan Kenobi taking on the name Ben Kenobi while keeping his surname even though he was in hiding. I have been able to get confirmation that the name is a legit name from the untitled Han Solo Star Wars story. 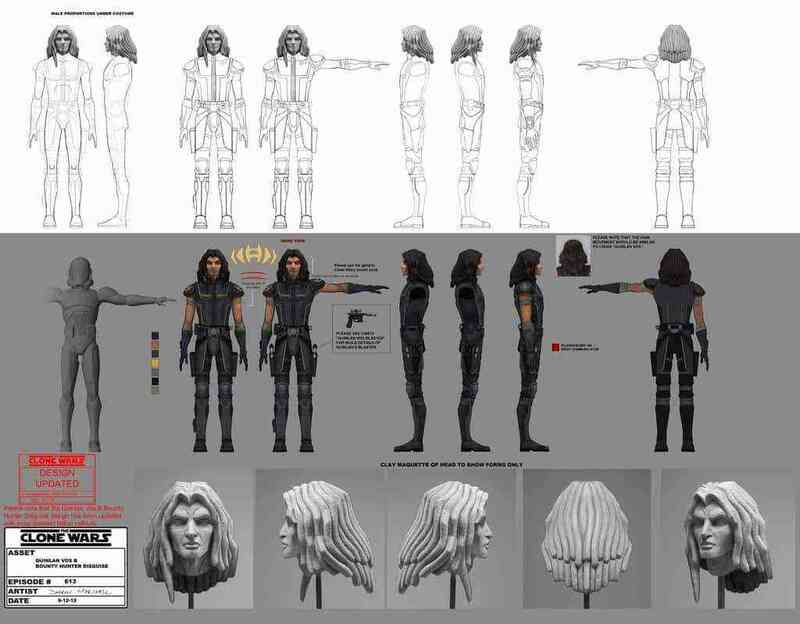 There were rumors that Quinlan Vos was spared from certain death by George Lucas in Revenge of the Sith because he had bigger plans for the character. You can see the animatic of his demise on The Complete Saga Blu-ray release where he dies in battle thanks to Palpatine’s Order 66 which wiped out most of the Jedi. 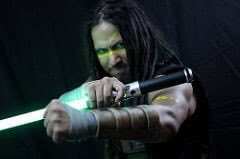 Lucas had originally written a scene for Revenge of the Sith involving the Expanded Universe character Quinlan Vos, but the character received only a mention in the final film. Lucas himself later instructed the writers of the Star Wars: Republic comic book series to not kill off the character. This has led some fans to speculate that Vos may play a role in the series. So what is the potential Han Solo connection? Well, Han Solo, Chewbacca, and Lando Calrissian were all slated to appear in Star Wars: Underworld aka The Star Wars Live-Action Series. The series was going to explore the depths of Coruscant’s level 1313, which also inspired a video game that was highly anticipated yet ultimately canceled. There were costumes created for Vos for Star Wars: The Clone Wars that denoted his undercover bounty hunter look. Level 1313 was to be included in the unproduced arc as well. This could foreshadow Vos’ profession after the fall of the Jedi Order. What if the untitled 2018 Han Solo film features a lot of George Lucas’ story for the young life of Han Solo? Could Star Wars: Underworld have featured episodes about a Jedi that survived Order 66, having previously infiltrated the level 1313 and the underworld who then fled to it for protection from Palpatine’s empire? Perhaps even becoming a bounty hunter or gang leader? To be honest, we originally thought we were going to develop Saw into something much larger, but we couldn’t accommodate it. So he is not in the movie as much as we would like to have him in the movie, which creates the opportunity to explore his character even further in our future development. So our attitude [is,] we don’t want to throw any of that stuff away. It’s gold. And it’s something we’re spending a lot of time looking at, pouring through, discussing, and we may very well develop those things further. We definitely want to. Perhaps the mining of those scripts brought us Quinlan Vos in the aftermath of that research. I find it hard to imagine a film being produced that explores the seedier underworld of the Star Wars universe through the eyes of Han Solo and those scripts not being a part of the research phase for that work. Perhaps the character jumped off the page for Lawrence and Jon Kasdan and they wrote him into the script. 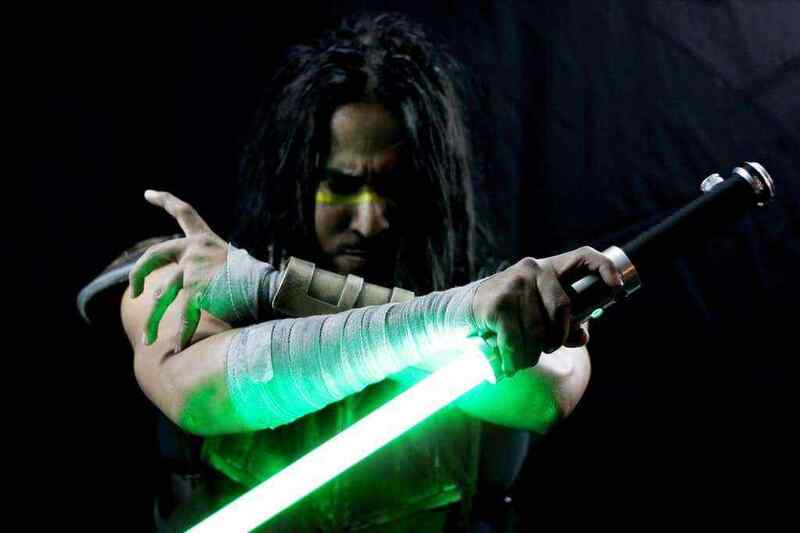 What I’m proposing is a pipeline where Quinlan Vos in the underworld passes weapons to be smuggled to Han Solo who then delivers them to Saw. Are Dryden Vos and Quinlan Vos the same character? Only time and investigating will tell. Clearly this article has mainly been speculative and we’re not saying this happens in the Han Solo film. We’re only saying the name Dryden Vos should appear in the film that is in production right now. The notion of what the name could mean is exciting and the potential is there. We’re not promising Quinlan will appear, we’re only saying we have heard of a character that shares the same last name and the possibilities exist. It could be a relative, someone completely new, or Quinlan Vos himself for all we know at this point. Either way, the untitled Han Solo story is going to be a lot of fun.